Healthcare Software & Insurance Exchange Solutions Company-Ebix Inc.
EbixEnterprise's Online Quoting Portal, HealthConnect, is the leading Health Insurance Exchange for buyers and sellers of health insurance and employee benefits. It is utilized by three principle constituents involved in these industries--insurance carriers, agents and buyers (employers, employees/members and individuals.) Since 1993 HealthConnect has successfully completed over 50 carrier implementations. Each day 6,700 insurance agents across 17 states generate 10,000 quote requests on the HealthConnect network. HealthConnect has developed a domain expertise that is unrivaled in the field. By combining content and functionality, HealthConnect has become the premier network connecting buyers and sellers of employee benefits. Real-time comparison by multiple carriers and rates side-by-side, along with comparisons of ancillary plans for dental, vision, life, STD, LTD, etc. Ability to create multiple quotes by carrier, premium, plan type, deductible, co-insurance, co-pay and effective date. In-depth analysis and reporting on providers for multiple plans and key market segments. Multicarrier quoting solutions allow agents to quote multiple carriers and an assortment of plans in a quick and efficient manner. 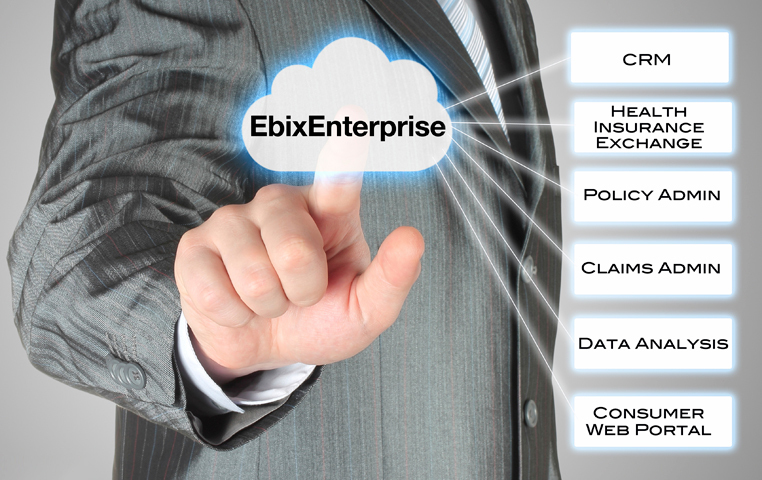 The Ebix Group quoting portal is secure, reliable and accurate. HealthConnect is a quoting system for agents that allows them to, in seconds, access multiple carriers in multiple markets. HealthConnect offers a variety of quoting plans that have produced more than 20 million quotes. HealthConnect also has a selection of offerings from ancillary carriers. HealthConnect gathers physician data for multiple carriers in a given market. Users can search, analyze and report on providers based on geography, network and hospital affiliations, specialty and language. Tracking, information and contact management tools are all linked into one quoting system, improving efficiency. With this product, agents enjoy the ability to monitor and report all activity, limit and expand user rights, and choose what content and features they wish to provide to those in their agency. HRConnect is an online, integrated human resources management system that meets all of an employer's and employee's needs. HRConnect simplifies employer and payer data complexities and can be easily integrated with most payroll systems. Through HRConnect, employers and employees can view benefits, compare plans, access carrier information, complete enrollments, and perform all tasks necessary to manage their benefit plans. This platform allows users to manage ongoing life event changes electronically. HealthConnect's online quoting application is a web-based small group rating, quoting and proposal generation tool that automates the everyday rating, quoting and proposal tasks. It offers a foundation on which HealthConnect's enrollment and renewals modules can be added. HealthConnect's online enrollment is a fast, easy online solution for group application and employee enrollment. 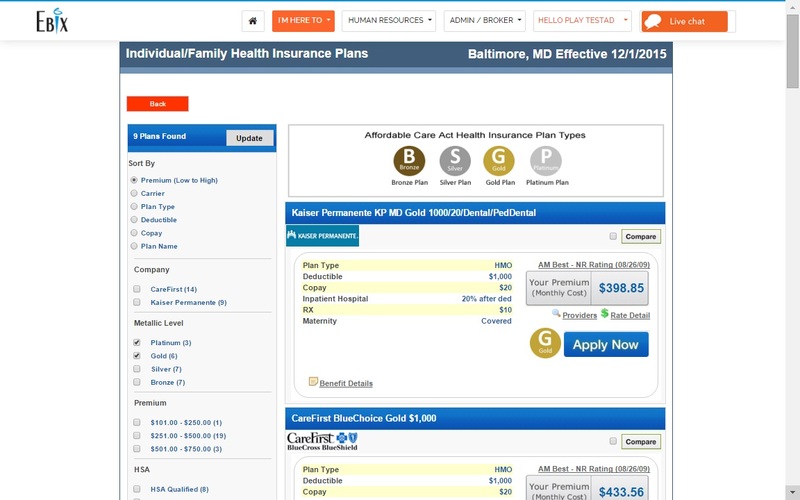 The enrollment module can be integrated with the HealthConnect quoting and/or renewals applications or deployed on a stand-alone basis. HealthConnect enrollment takes the traditional time-consuming, paper-based enrollment process and turns it into a flexible process for brokers, employer groups and their employees.